Curd is very popular and effective home remedy for dandruff. Keep a small quantity of curd for fermentation for 2-3 days. Apply this curd to the scalp and hair. Dry it for 1 hour and wash it off. It not only removes dandruff, but also makes your hair shiny. - Vinegar is an effective in removing dandruff. Add 2 tablespoons of cosmetic vinegar and 6 tablespoons of hot water. Apply this mixture all over the scalp, cover the scalp with cloth and keep it overnight. Wash hair with plain water or add little of that mixture if required. This should be done twice a week for three months. - Another common home remedy for dandruff is the regular use of the combination of olive oil and ginger root on the head. It will not only reduce the dandruff but also nourishes the hair at the roots. - You can also try this simple and effective home remedy for removing dandruff. Make a paste of sandalwood oil with triple the amount of lemon juice and to apply it on the scalp. - You can also prepare a gel of aloe vera leaves. Apply this on the scalp and leave it overnight. Wash it with a shampoo, preferably containing shikakai the next morning. - Another simple home remedy for dandruff is lemon juice. Take 1-2 teaspoon of freshly prepared lemon juice and rinse over the scalp and wash it away. 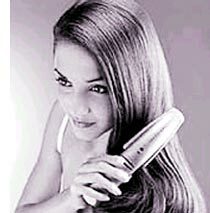 It not only makes the hair lustrous but also prevents it from dandruff and lice. - Ash gourd is very effective remedy for dandruff. The peel and the seeds of the ash gourd are widely used in the treatment of dandruff. - Fenugreek seeds are also effective in reducing dandruff. Softened them in water and apply to the scalp every morning. After an hour or so, wash with soap nut. This will keep dandruff away and prevents falling hair. - Rosemary is an important ingredient of several head tonics and shampoos. It rejuvenates the scalp by keeping it moist and hence prevents dandruff. Rosemary is also used in the treatment of premature baldness.